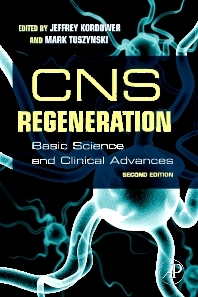 This second edition of CNS Regeneration updates the burgeoning field of regeneration in the Central Nervous System (CNS) from molecular, systems, and disease-based perspective. While the book covers numerous areas in detail, special emphasis is given to discussions of movement disorders such as Parkinson’s disease, Alzheimer’s disease, and spinal cord injury. Rush-Presbyterian Medical Center, Chicago, Illinois, U.S.A.